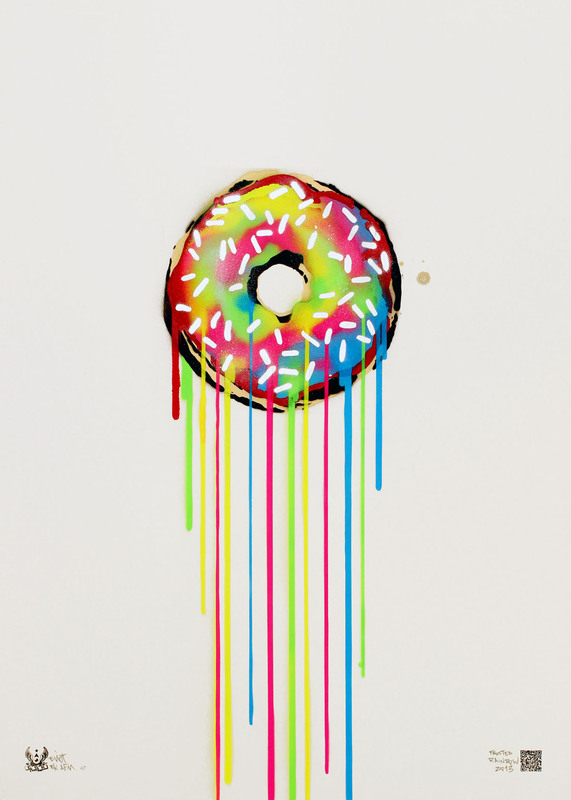 Continuing my neon food series, it was about time to worship the mighty Donut! After the famous Iced Rainbow here comes a Donut with yummy neon coloured frosting so sticky juicy it drips all over the paper. Stencil with spraypaint 100 x 70 cm thick 300g paper. Signed but not numbered. It smells like Mona Lisas Hair.